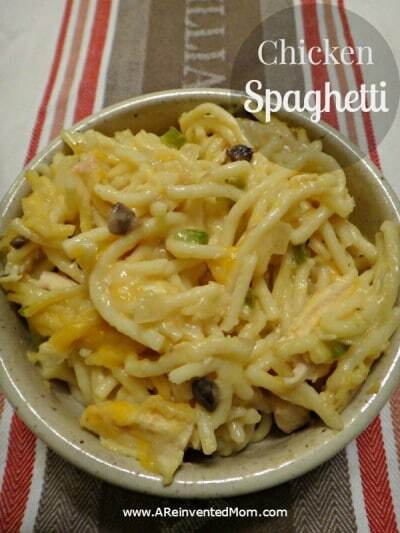 Lightened-up Chicken Spaghetti is one of those rare dishes loved equally by kids and adults. The pasta draws the kids in, and the creamy sauce screams “comfort food”. While on the hunt for a meal my entire family would eat, I discovered a recipe for Chicken Spaghetti on The Pioneer Woman’s blog. My intuition was right. It was love at first bite. And what’s not to love? This recipe covers all the bases for comfort food. A mountain of tender pasta paired with a creamy chicken-based sauce. And a heap of cheese. Mmmm, sooo good! 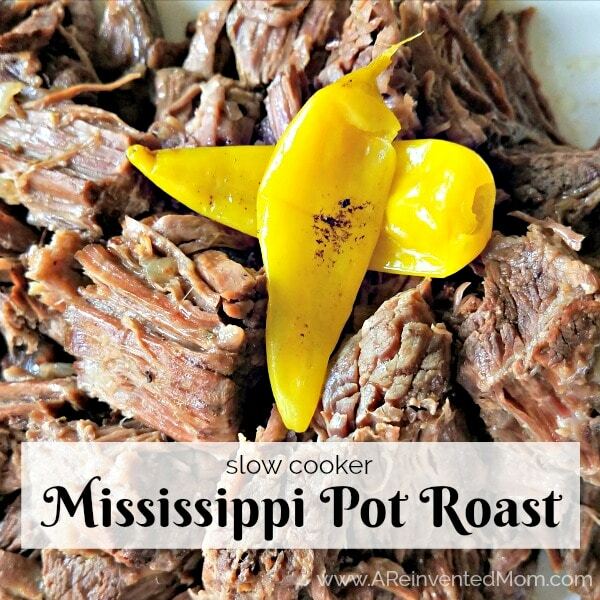 After making this dish countless times over the years, my family still requests it regularly. And that popularity presented a slight problem. If I wanted to serve Chicken Spaghetti more frequently, I felt compelled to lighten up the recipe. P-Dub’s recipes typically include copious amounts of butter, cheese and cream. Ingredients I love as much as the next person. Making a few adjustments resulted in a slightly healthier version that doesn’t skimp on taste. I hope you enjoy my lighter version. Chicken Spaghetti is more of a weekend dish for me because it requires a significant amount of time to prepare. And clean up. While this casserole is certainly worth the effort, it’s just not feasible for me as a weeknight meal. 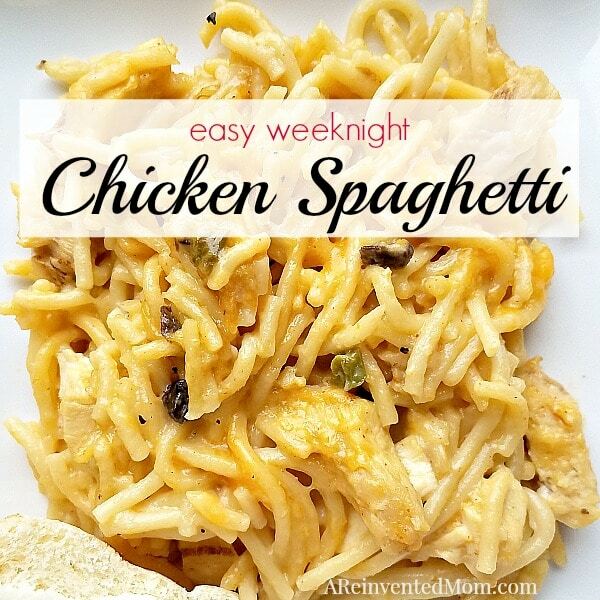 If you are looking for an easier version for weeknights, check out my Easy Weeknight Chicken Spaghetti recipe. Same great taste in a fraction of the time. Casserole dish – I love that I can take this casserole dish from the frig directly to the oven. Mixing bowl – the largest bowl is perfect for this recipe. Spatula – I use at least one of these every single day. 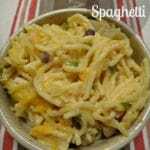 Lightened-up Chicken Spaghetti is one of those rare dishes loved equally by kids and adults. The pasta draws the kids in, and the creamy sauce screams "comfort food". Place chicken in large pot and add water (I season the water with a little salt & pepper). Cook until done, approximately 20 minutes if using boneless, skinless chicken breasts. Remove chicken from pot and shred. Remove 2 cups of broth from the pot, reserving for later use. Cook spaghetti in remaining broth until al dente. You want your pasta to have a little "bite" to it, because you will be cooking it again in the oven. Drain spaghetti. In a large bowl, combine cooked spaghetti with the remaining ingredients, except for the 1/2 cup reserved cheese. Transfer mixture to a 13 x 9 casserole dish and top with reserved 1/2 cup cheese. Bake at 350 degrees until bubbly (about 45 minutes). Cover with foil if the cheese starts to brown. 1. Feel free to use whatever chicken you have on hand: mixture of white & dark meat or use rotisserie chicken for a quick fix. You will want about 2 cups of cooked chicken. 2. If you forget to reserve 2 cups of broth, substitute with bouillon and water to make 2 cups. I forget to reserve the broth almost EVERY time - seriously! 3. 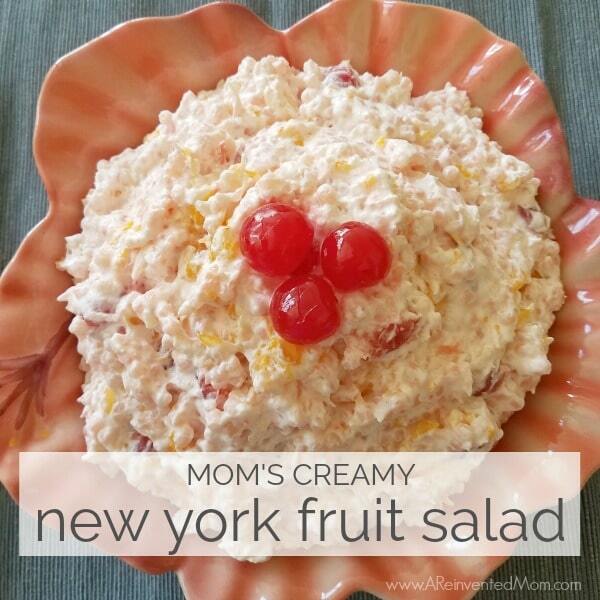 This dish can be made the day before - simply cover, store in refrigerator and cook the next day. I hope you try it Rae – it’s a winner! Thanks for stopping by! Hello gorgeous! What an amazing recipe. Oh Yum! Pinned. We hope to see you at our party tonight at 7 pm. It is so fun to party with you! I love chicken spaghetti too, it’s a favorite!! Thank you so much for linking up at Tasty Tuesday! Your recipe has been pinned to the Tasty Tuesday Pinterest board! Please join us again this week! This look so yummy! I’ve pinned it in hopes to add it the meal plan. Thanks for sharing! Your Chicken Spaghetti looks delicious! Hope you are having a great day and thanks so much for sharing your awesome post with Full Plate Thursday! This sounds so yummy! I absolutely adore pasta! I’m stopping over from the Skip to my Lou linky party…great seeing you there! Thanks for stopping by, Christie! Yummy! 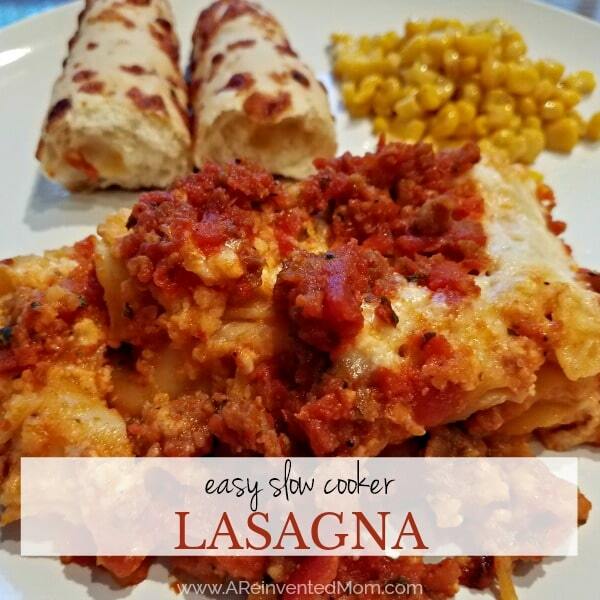 I have been wanting to try this recipe! Thanks for sharing! Sounds delicious! May try on Friday! I hope you like it as much as we do, Andrea!